That’s a very scientific description, isn’t it? (and interested in participating) in the challenges. Join us here. 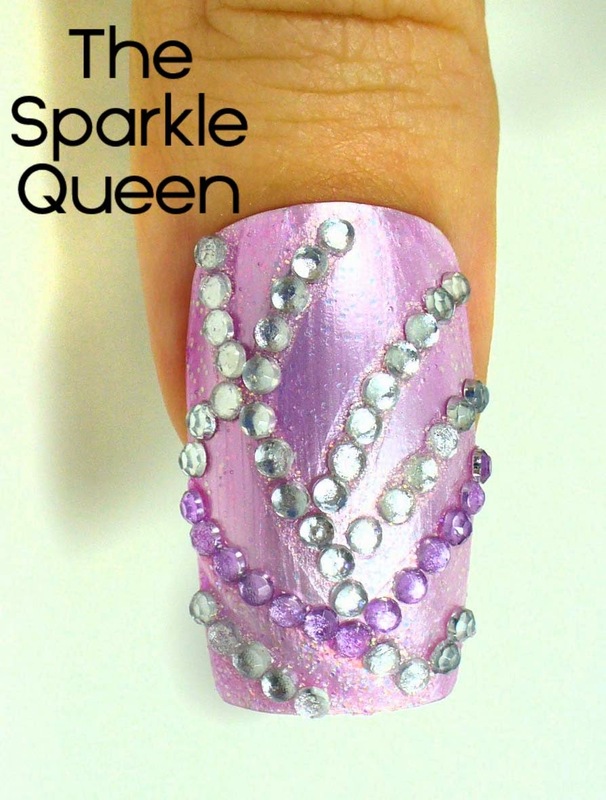 What do you think of this nail art look? Yay or Nay? This is gorgeous and I just love that accent nail! Scientific description or not, these are so pretty! Love the detail you did with the rhinestones here! Thanks Sam! I was actually kinda worried about the base. It's actually a pearly white (one of the Sinful polishes) with a Kleancolor jelly over it. Kinda cool, kinda weird. loved the color and amazing placement of stones well done ! This nail art challenge seems like such a blast!! I love your submission. Such a gorgeous undie.